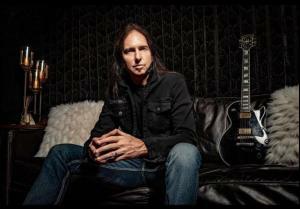 WISHON PROMOTIONS presents Damon Johnson, an American guitarist, vocalist, entertainer and songwriter, born in Macon, Georgia and raised in Monroeville and Geraldine, Alabama. He is regarded for his work as vocalist/guitarist for Brother Cane (three #1 rock singles in the 90s) and for his time as guitarist for Alice Cooper, Thin Lizzy and Black Star Riders. Johnson's list of other writing, recording and performing credits include John Waite, Stevie Nicks, Carlos Santana, Sammy Hagar, Queensryche, Faith Hill, Skid Row, and The Temptations. As a solo artist (via his own independent label, Double Dragon Records), Johnson has issued two acoustic albums: 'Dust' (2000) and 'Release' (2010). He followed up an all electric EP, 'Echo' (2016) with a 16-song live collection with his solo band, 'Birmingham Tonight' (2017). Johnson's first full length electric solo album, 'Memoirs Of An Uprising', will be available worldwide in March 2019. Damon and his band (Tony Higbee, guitar; Tony Nagy, bass; Jarred Pope, drums) will ROCK THE STAGE at the Keys Lounge in Fort Worth!! Special guest opener - Laramie, a captivating indie rock band with roots in Memphis, Tennessee. The group is a diverse combination of multi-talented musicians and writers guided by lead singer and songwriter, Laramie Renae. Jameson Patz is on drums; Dylan Wheeler is on guitar; Ben Banti is on keys; and Caleb Crouch is on bass. Rather than being hindered by a challenge, Laramie turns diversity into one of their strongest qualities and uses it as a tool to write dynamic works of art. Band members are given the freedom to express their individual creativity and craft while staying true to the group’s underlying message and overall sound. With each song, Laramie aims to leave a lasting impression and to draw the listener in for a ride that promises to be haunting, raw, and transparent. Lyrically and musically, Laramie finds inspiration in artists such as Florence & The Machine, Stevie Nicks, and Led Zeppelin. With undertones from those artists and others, Laramie writes freely and passionately while producing gripping performances straight from the heart. Their music is often described as dramatic, chilling, and eerie. The band's newest EP "Rather Be" was released in January 2019.